ChurchPartner offices and warehouse will be closed on Friday, April 19 in observance of Good Friday. We will re-open on Monday, April 22. Have a most blessed and joyous Easter! 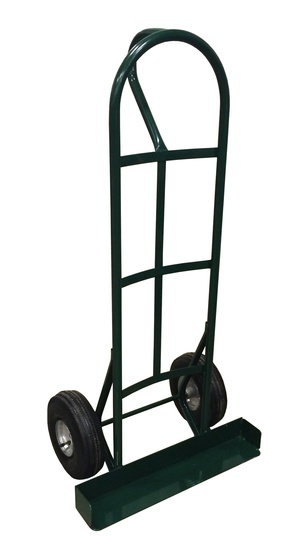 Make moving your stacking chairs easy with our convenient stacking chair truck! 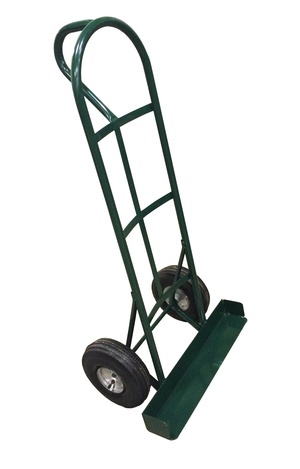 By simply sliding the leading edge of our unique chair truck under any chair stack, movement is easy! Side bumpers keep stacks from shifting off and allow stacks to easily move to your destination! 22" width allows for movement of wider seating! Perfect for your school, church, and meeting hall! Excellent for our full line of stacking chairs! ComforTek manufactures the highest quality seating solutions. With corporate headquarters in Canada, and distribution located in three regions of the United States , ComforTek is well positioned to help make any audience comfortable. Products are designed to accommodate guests in a wide variety of market applications. Whether the desire is to enhance learning (classroom settings), provide for high quality medical care (health care clinics), accommodate large groups of people (religious venues) or merely to provide for a moment's relaxation (break rooms), ComforTek's diverse products will serve well for many, many years. You will appreciate these products for their value, durability, versatility and superb feel and comfort! That's the Comfor Tek Advantage. Stacking Banquet Chair - 771 - In Stock! © 2019 Church Partner. All rights reserved.